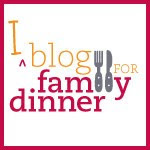 Since I'm a parent and an advocate for family dinner, I'm especially interested in feeding kids and helping them have a healthy relationship with food. Schools are an important part of this equation. In New York, and many other locales, school cafeteria food is the only consistent meal of the day that many kids can count on. There are so many challenges for school and food. How to create nutritious and affordable fare day after day for a large numbers of kids? How to make the food attractive and tasty (thus eaten) in addition to being healthy? How do you keep junk food at bay, but still have enough food revenue to cover expenses? How to you get kids to try new, and hopefully healthier, foods? I love the idea that schools can tap into local farm resources for some of their school menus. But there are many challenges to overcome. The Board of Eduction relies on federal agricultural supplies and there are a labyrinth of regulations to change procurement methods to assure safe food for the kids. One Brooklyn school supports a CSA and a local farmer (Dines Farm, a staple at many NYC Greenmarkets), but not directly to the cafeteria table. The initial idea was to develop a relationship so that the local produce could find its way to the kids at school. That didn't work out, but the PTA saved the idea by offering parents membership in a school-based CSA. Now at least some parents are getting local produce and meat to serve for dinner. Plus, it's starting an education process for both kids and parents about the food-farm connection. It's a good start. Alice Waters and the Edible Schoolyard in Berkeley, CA is one inspiration. Martin Luther King Jr., Middle School has its own garden and a full curriculum of growing, cooking, and using plants for dyes and science experiments. Still, it is wholly supported by a private foundation and thus may be hard to mimic on a broad scale. Edible Schoolyard's website has useful tips and suggestions (lessons learned the hard way, it notes) for school and communities that want to incorporate real gardening into the local food movement. I found so many farm-to-school links, resources and articles out there (some listed below). It's an idea worth fighting for. Edible NYC: Green it! Grow it! Eat it! at the Brooklyn Botanic Gardens, this weekend, March 8th. Community Supported Agriculture (CSA) 2008, March 29, Teachers College Columbia University, New York. Schools, Food and Community Conference, April 11-12, Teachers College Columbia University, New York (Pre-register at www.baumforum.org). Baum Forum Resource Guide. See past forums and resource guides to find links and articles about a wide range of local food topics, such as School Food Resources and the Urban Food System. National Farm to School A national organization that helps connect schools and farms. New York Farm to School Resources Compiled by NYFarms! a statewide coalition of farmers, businesses, government agencies and non-profits committed to NY farms and families. Do Apple Slices Make the Grade? NYT, 04.05.06 Great article that highlights some of the challenges to getting healthier food in cafeterias.